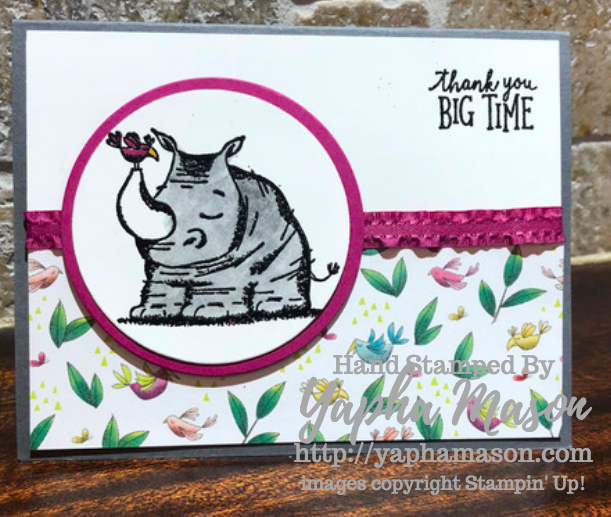 It’s time for another Stamp Review Crew blog hop! This time we are featuring the Truly Tailored stamp set. You may have just arrived from Charlet Mallett’s Blog, or if you are going backwards from Tanya Boser’s Blog. No worries, even if you are starting here. All of the blogs link in a circle, so you won’t miss a single amazing project. If you get stuck, you can always click the link to the Stamp Review Crew to take you to the master list. How cute are these animals? And I love the puns! This is a quick thank you card that I made. Thank you for hopping with us today! Your next stop is over at Tanya Boser’s Blog. I can’t wait to see what she made! Have you been following my Plexus journey? Did you know that THREE new products were been released in the last month? Let me know if you want more information. They are too good not to share! So cute! Love the paper and the pop of Berry Burst! Deserving with the bird paper! So cute! I love the bright, fun colors! Love the pop of Melon Mambo! And your card makes me want to get the matching DSP! I echo Mike’s comment – now I want that DSP *and* the ribbon!!! Love the choice of DSP – my favourite design in the pack. Such a cute card with the ruffled ribbon. Oh my gosh…it doesn’t get any cuter than this, Yapha! The Berry Burst ribbon and cardstock look fantastic with this adorable DSP. LOVE it!!! Adorable card! This set is super cute and your card shows it so well.